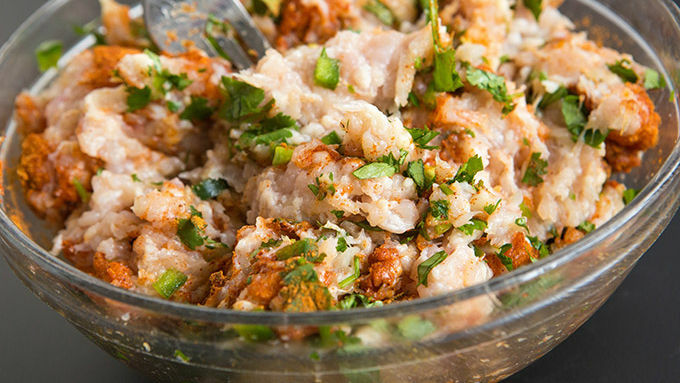 In a large bowl, mix together chicken breast, taco seasoning, jalapeno and cilantro until well mixed. Form into patties. Melt coconut oil in a large skillet. 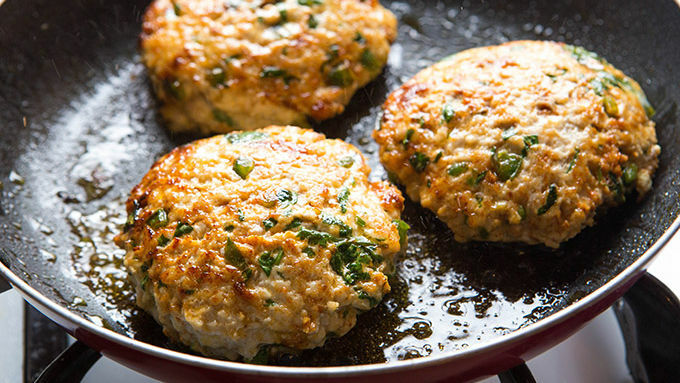 Cook patties until cooked through. Remove from heat and cool slightly before serving. In a medium bowl, use a fork to mash together avocados, lime juice and chopped scallions. Salt and pepper to taste. Serve warm patties with guacamole. If following a strict paleo diet, omit the Old El Paso™ seasoning and add the following seasoning mixture instead: 2 teaspoons sea salt, 1 teaspoon chili powder, 1 teaspoon garlic powder, 1 teaspoon onion powder, 1 teaspoon cumin, 1/2 teaspoon cayenne pepper. 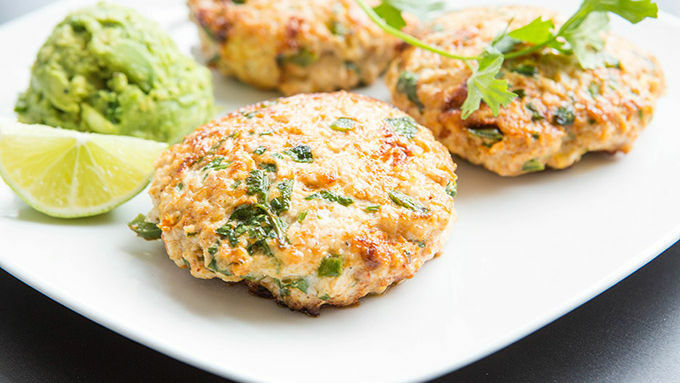 These paleo-friendly patties definitely break the protein routine. When I came across this recipe for Paleo Jalapeno Chicken Burgers from Once a Month Meals, I nearly flipped my gourd. All of them. (Whatever my gourds are.) This flavor combo is inspired. It’s so mouthwateringly perfect that I found myself printing out a photo of the recipe and pasting it in my kitchen just so I could look at it. If I couldn’t eat them, at least I could admire them like a work of edible art. As a paleo eater for 3 years now, I know how easy it is to lose inspiration with food. The paleo menu can sometimes feel quite limited. There are eggs for breakfast, so many eggs. There are nuts and berries for lunch and grass-fed meat for dinner. And then we’re back at eggs again.